York couriers will strike on Friday 19 April, following previous very impactful strikes. 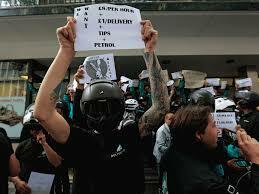 They will hold a “flash strike”, a tactic aiming to maximise disruptions while minimising pay lost. They have announced that they will strike between 5 p.m. and 10 p.m., but only three of those five hours, to be announced on the day. 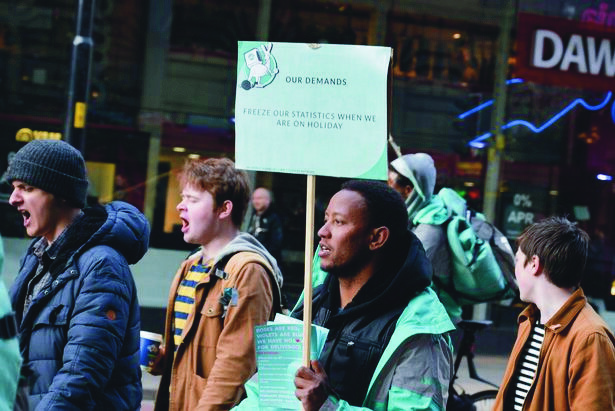 Nottingham couriers held another protest on Friday 12 April, demanding higher pay and better working conditions. 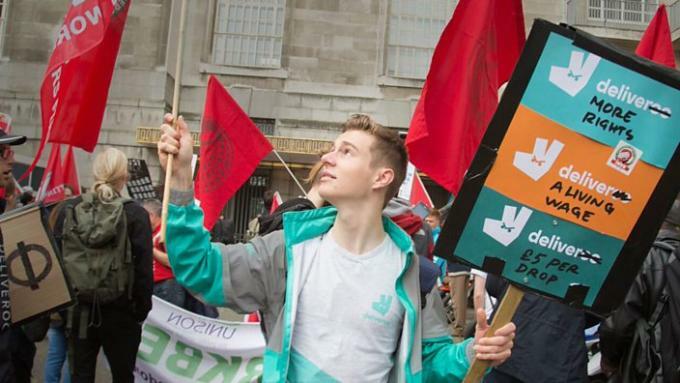 Deliveroo couriers in locations across the country are planning more strikes in April, demanding higher pay in a co-ordinated wave of “rolling strikes”. This follows some very partial victories in a few places. 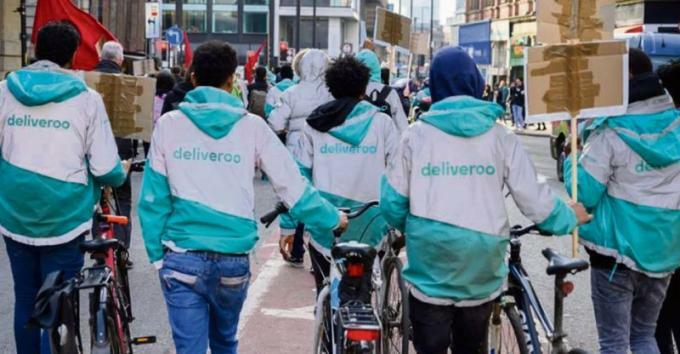 On Tuesday 26 February, Deliveroo couriers in Manchester struck from 11 a.m. onwards, demanding better pay and other demands. They have the same core demands as in many places across the country — £5 per delivery, paid waiting time at £10/hour, £1 per extra mile travelled – plus some extra demands. They have been supported by Manchester IWW. 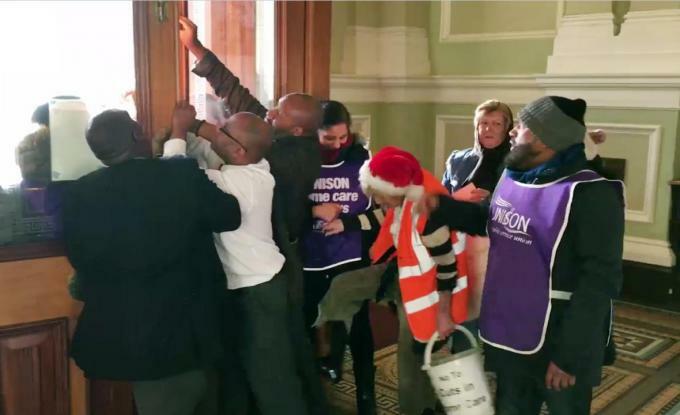 This was the second strike in a fortnight, following the Valentine’s day strike which was part of a nationally co¬ordinated strike, in turn inspired by a series of strikes in Bristol which had started to spread elsewhere.